Writing under the name Mosey Jones, Morag Cuddeford Jones wrote The Mumpreneur Diaries during a year of maternity leave following the birth of her second son. A humorous 'mumoir', it chronicled 12 months of Cuddeford-Jones' attempts to launch a business that would provide enough income to ensure she didn't have to return to the London commute after her leave was up. The chronicle involved retraining as a Doula - a mother's help specialising in pre and post-natal care which has allowed her to broaden her parenting journalism further across blogs, magazines, radio and newspapers. "Mosey Jones has nailed the nappy-sack-scented balancing act that is work and motherhood and combining the two, even when you've run out of wet wipes, and rope. Very funny." 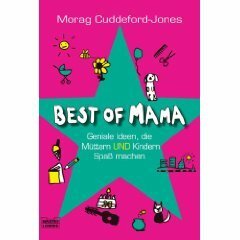 Mum Stuff was written by Morag Cuddeford-Jones following the birth of her first son. She was inspired by the realisation that the tradition of mothering skills being passed from generation to generation was largely being lost. Mum Stuff seeks to resurrect some of the most fun and useful mothering skills and aims to equip today's modern mother with the tools to engage her children while still having time for herself. Far from being a parenting manual, Mum Stuff acknowledges that parenting is far from an exact science and positively encourages mums to take everything with at least a skipful of salt. "Cuddeford-Jones's irreverent guide to keeping children amused reads like a compendium of play through the ages. A great resource for busy mothers who want a bit of fun." Client is a well-known entrepreneur and business speaker. Project is for the subject's second book, following on from a bestseller published in 2002. 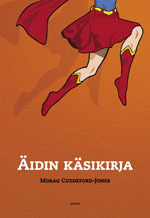 This 'plain english' business book will be published by Capstone in February 2010.